HEAT SEEKING Thermal Imaging Ltd. is a corporation, which is set up to perform non-destructive testing called infrared inspections as well as GasFind IR the detection of fugitive emissions of VOC gases. Call and schedule your initial consultation and survey. 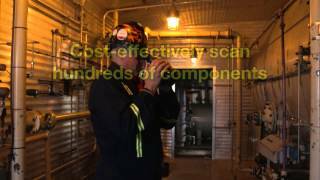 Let us demonstrate the benefits and show you the savings of having an Infrared Thermal Scan and how it can become a part of Your Predictive Maintenance Program and then help you make it an Integral Part of Your Preventative Maintenance Program.